Bill McCartyNew users are flocking to Linux literally by the millions. Yet most of these new users draw from Microsoft Windows as their primary computing experience; for them an operating system from the UNIX family is an unfamiliar experience. 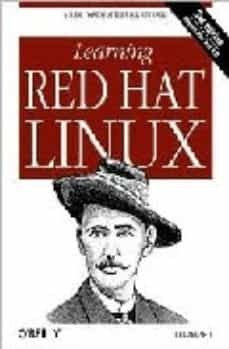 In Learning Red Hat Linux, Bill McCarty has written a book aimed specifically at this new audience. Learning Red Hat Linux will guide any new user of Linux through the installing and use of Red Hat Linux, the free operating system that is shaking up the commercial world of software. It demystifies Linux in terms familiar to Windows users and gives readers only what they need to start being successful users of Linux. Built around the popular Red Hat distribution of Linux, Learning Red Hat Linux takes the reader step by step through the process of installing and setting up a Red Hat Linux system, and provides a thorough but gentle introduction to the basics of using Red Hat Linux. Because the book is written specifically for the enclosed CD, the reader needs nothing else to get started with this exciting new operating system.